The technical disparities in the telemedicine companies motivated Patientory’s CEO and founder Chrissa McFarlane to take the leap and contribute an extraordinary input to the healthcare industry. With a background in business, healthcare management, and consulting, Chrissa knew her path is leading to revolutionizing how medical data between doctors and patients are being monitored and stored to provide easy access and tracking. Identifying how the lack of infrastructure and communication between the different healthcare systems and the monopoly certain healthcare technology vendors have as the biggest challenge, she decided to start Patientory back in 2015. 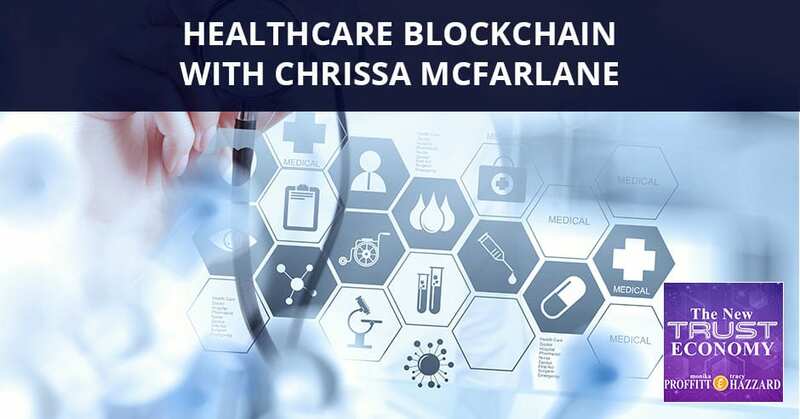 Chrissa dives deep into their platform and shares how getting into healthcare blockchain has improved data integration. I’m here with Chrissa McFarlane, the Founder and CEO of Patientory. Welcome, Chrissa. Thank you so much for joining us. I’m so excited to dive right into your unique business model. It looks like you have not only been an early innovator in the blockchain space, but you’ve taken one of the best applications of blockchain. One of the earliest and most obvious and brought it to people to impact a large number of lives in health tech. Can you tell us a little bit about how you got started with Patientory? My background is in healthcare business and IT consultant. Initially, I was pre-med. I’m really empowered and fascinated with the world of healthcare. I decided that I can definitely touch more lives through business and technology. I decided to go to business school and do healthcare administration. Then I found my way in health IT consultant, which landed me into digital healthcare startups, which is still pretty new to the healthcare industry. I was working with a telemedicine company and saw the technical disparities that existed in the space and decided to start Patientory back in 2015. What do you consider a technical disparity that’s going on? The most obvious reason is the lack of infrastructure and communication between the different healthcare systems and the monopoly that certain healthcare technology vendors have and owning like they own your healthcare information. That’s the biggest challenge right now. In terms of data and tracking, is it that you’re trying to even the playing field or distribute things? Are you trying to add more players to the field so that there are more places people can seek out and have their data? How exactly does Patientory change that technical disparity that you saw? What we’re doing is we’re basically creating a highway by using blockchain to make the data that exists now in systems available to not only the patients, because it’s your information, but to interested stakeholders such as researchers and other secondary care providers that would benefit from having that information. Give me an example. If I’m a patient and I use Patientory, how does it help me? How do I engage it and how does it do something for me? In an ideal world, we have a connected healthcare network, an ecosystem. We built an app that integrates with this network to make your data available to you so that wherever you go, you’ll have access to that historical information. We’re using more or less analytics to help the individual receive better personalized care so that you’re able to feel empowered and make more informed healthcare decisions. I need this already. I had surgery. It was a minor surgery. It’s no big deal, but this doctor hasn’t talked to that doctor. I’m going to Google and everybody’s inadequate because I’m like, “If Google can solve it and you haven’t told me this, come on you’re a doctor.” It was just that they didn’t know all the pieces that I had in my head, but I didn’t own the data to take to them. I needed this. When is it going to be available for me to get? That’s what we’re working on. Do you have a roadmap? Do you have an idea of when people might be seeing this in the market or even in small test markets? Yeah, we do have a roadmap. It’s on our Patientory.com website. We have one for our blockchain which is hosted by The Patientory Association. That’s on PTOY.org. People can go there and check that out. We’ve been running small beta tasks. We do have an iOS beta version that’s out right now. Can I download it right now? Yeah, it’s wallet base. We’re doing a lot of tests in there. We’re slowly bringing on people to the platform as we add more features and functionalities to them. I know that you guys also did a new partnership with a totally interesting company that sounds a little bit like a futuristic movie I watched several years ago. I was like, “Actually, this is running. I think it’s going to go that way. I’m not sure how I feel about my eyes being used to identify me like this.” Can you tell me a little bit about IrisGuard and how you guys even came to form this partnership? How did it occur to you? It happened late 2018 when we started to speak with IrisGuard. I had no idea they existed. We were in the UK showcasing and one of their co-founders came up. He was interested in healthcare. They have been around for over ten years. Who would have known that iris recognition technology has been around that long? They’ve worked with the UN. They’ve worked with the World Food Program and provided iris recognition. Can you talk a little bit about what they’ve done already to help the world? What did they do with the UN and what did they do in terms of food? This is cool stuff. What they do is they have a tracking device where they’ve registered refugees and unbankable citizens in these countries that are going through turmoil who have no form of identification. They’ve been able to track that via this iris technology, which is amazing. Everything from identity to financial transactions. A lot of the systems within these refugee camps is powered by this iris recognition technology. They wanted to solve some problems in the healthcare space. What are they helping you guys to solve? They’re looking to expand into healthcare. They approached us and was like, “We want blockchain. This is the next evolution for our technology.” They’re excited about our PTOY blockchain that the healthcare blockchain work and its capabilities. Right now, we partnered with them. We brought their iris technology to our blockchain which would enable more privacy and private key pair functions, data management for our users and for our enterprise customers. What is your user-base like? How many users have you got? Right now, we’re working with a very large health system. There are seven large health systems in the US. We’re working on a chronic care pilot study with over 200 patients that are involved in that. We rolled it out. It was a journey. I had gone to business school. I did health care management. I did a couple of consulting and have my gigs around. I was applying to a med school because I was like, “I’m meant to be a physician.” In that gap year, it was really serendipitous. Someone from my alma mater, that same digital health care company I mentioned, reached out to me. I had never worked in startups before. I decided to join their team and loved the concept of startups and healthcare and technology. It was at that moment where you would say fifteen years of education and preparation just turned into complete 180. They don’t teach this in school. I’m like, “This is it,” so that happened. Healthcare Blockchain: The biggest challenge right now is the lack of infrastructure and communication between the different healthcare systems. Do you feel that’s partly what distinguishes you as a founder as well? It’s just that your journey was, of course for every entrepreneur, it’s not ever a straight line. Yours was a focused line, but still, there was a lot of breadths that you covered in there and that you were broad in your base. Do you feel that’s part of what distinguishes you as a founder? Absolutely. 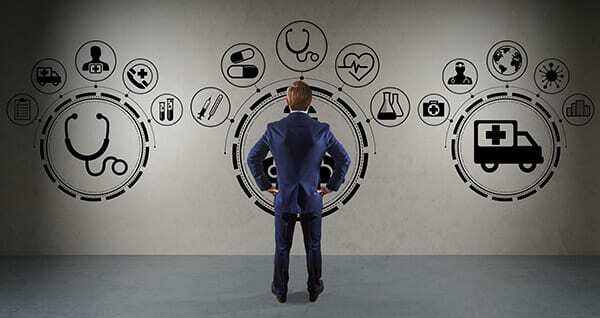 As a founder, especially in healthcare, you have to rely on so many different skill sets. You’ve been with advisors and mentors. There’s just that so much information you can ingest yourself. Having those different experiences in my past. I started out doing research at a medical school. It strengthened those skill sets for me to be able to execute in the startup. Is this your first startup or have you done other ones before this? This is my first baby. I’ve worked on other startups. Back when I was a teenager, my family own a restaurant. I did operations there. I came from an entrepreneurial family. That had something to do with that as well. Can you tell me a little bit about what the iris recognition, EyePay, part is? It’s interesting to think about being able to go somewhere and have your money or your store of value somehow stored in your body. Tell me about this. Before IrisGuard, you had a lot of key differentiators for what you are bringing. Can you talk about what differentiates you guys and your company from anyone else that’s playing in this field? Then how IrisGuard also adds another one because it’s pretty interesting. I don’t know anybody else who’s doing this. We’re definitely highly differentiated in that respect with regards to our partnerships, but really looking deep into the core architecture of our blockchain. A lot of the key to early movers in the blockchain healthcare space are tackling more or less, the low-hanging fruit, right up financial aid. A lot of those things that we see turn around now. Whereas our blockchain can do that but the core of our for-profit phase where we focused on the administration and the tracking and integration of data and how we’re going to create the next phase of data integration from the current legacy siloed systems that exist now in the healthcare space. You guys got started a little earlier than a lot of other companies in the blockchain and in the health tech meets blockchain space. You have been around since 2015. How did you get from 2015 to 2017? It sounds like you were one of the early 2017 ICOs. Is that how you got funded mostly? How did this all happen? We started the company late in 2015. We were the first cohort to start in 2016 with an accelerator out in Colorado. We did that for a big chunk of 2016 and get in the research down, our value proposition and then pitching to investors. Did you get a lot of private investors or was it mostly ICO investors? Mostly Angel at that point. Later of 2016, one of the advisors that I had came on and was just, “You can be more on the blockchain space.” Not only blockchain space but the crypto space. What they had done back in 2014, they are pretty integrated into the space early on and then they were talking about white papers and we could do a crowdfund. I was like, “You guys raised $500,000 on a white paper back in 2014. What is this?” At the time, I wasn’t a big fan of crowdfunding. You released a coin though, right? Yeah, we did. Back in 2016, we decided, “Let’s write our white paper.” Then we decided to do a token sale later that year and we prepared it in early 2017. We’ve created a token, we released the token and did that token sale in mid-2017. From there, we built the platform and then the structure. What is your token? What’s the name of it? Is it still available overseas for sale or are people still trading it? How is it? It is available on exchanges as well. I know we were listed on this new exchange, I believe it’s called Bitonic. We do get listed on a couple of exchanges. How did the value of the token maintain? Does it work out well or has it been tough? A lot of people have talked about introducing the crypto side of things. Not the blockchain as it has it’s own wonderful technology, but people get those two things mixed up. 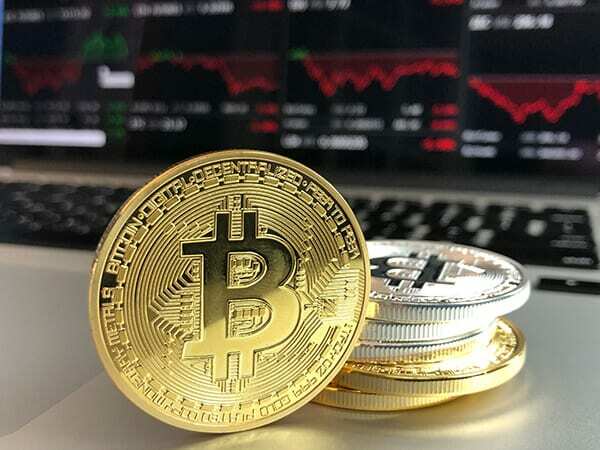 Bringing crypto into the mix can sometimes complicate it and sometimes make it easier. It sounds like it got us some money. Has it taken you off mission or has it been an additive community garnering building tool? It’s been definitely up and down. In terms of our healthcare stakeholders, I had one customer say, “We don’t want to use it.” I think it’s a bit far-fetched for healthcare at the moment. However, we are working on ways and means around that. Our network functions in terms of onboarding with healthcare organizations. With the fall of Bitcoin, we’ve seen a drastic decreases in a lot of these alt coins, alternative assets. As we work on getting more of our option with all that, we can see more uptake in research of all that. How many coins have you released? What’s your circulation and supply like? We created 100 million. We released 70 million, which netted around over $7 million. Roughly selling at $0.09 to $0.10 at the time. That’s 70 million in circulation. You circulated 70 million and you raised $7 million by doing that. Was that a complete game-changer for you and the company or because you had other more traditional funders, it was a drop in the bucket? It wasn’t huge. It was just helpful? In terms of what we’re building, because we’re building such a big platform, it was helpful. We’re definitely going to be raising in the next couple of years. It definitely spearheaded our developments in this space. You said you have an iOS app that people can get. What is it? Is it just the Patientory app? Is that what it’s called? Where do people find it? You can find the app. That’s good. It’s Patientory. We expect to have android available. The interface to the consumer, I’m interested in how sometimes the best applications of blockchain, you don’t even know it’s there. I’ve talked to some developers and they have what’s called the truffle theory. I’ve heard this, you only need to just look. It’s like a truffle. There’s a little bit of flavor in the whole thing. You don’t need to be too heavy handed with blockchain. Do you lead with blockchain from an interface perspective or does the consumer feel they have their data and they feel safe about it? How do you address that from an interface perspective? Our app, you’ll download it and you’ll see it has components of a cryptocurrency wallet. We try to create a seamless user experience for the end user where they don’t feel like they’re using a blockchain platform. They’re using like WhatsApp or any other app that’s out there on the store but this is something specific to their healthcare where they can aggregate a lot of the apps they use now. They can watch their Fitbit to better curate a healthcare experience for that. For example, I live in New York City and I have probably a lot of information at Mount Sinai. I can download my stuff and I can hold onto it. Could I put my information into your app now? In terms of medical records, yes. The only thing is your hospital has to be running our actual blockchain network. Healthcare Blockchain: With the fall of the Bitcoin, we’ve seen drastic decreases in a lot of these alt coins, alternative assets. It has to be direct. It can’t be that I take all my stuff, I get it and then I use your app for myself. I have it all in a place that I can then share. We’re looking into a patient’s update in the app. The thing with that is like what Google Health and Microsoft Health caught right into where they try to do PHR about many years ago, was the consistency of how the data is stored. We’re looking at ways where the user can upload the data and then format it in a way that would still be useful so that they’re getting that experience. I feel like if we can get the consumer doing more for themselves, everything can go faster. Where are some of the places that we can find you with social and whatnot? Do you have a huge presence? Have you been talking to the crowd a lot or are you still just getting everything done on a more enterprise level? On social, we have a Slack. You can join our Slack by joining our website, Patientory.com, and signing up on our Slack. We’re also on Telegram for PTOY Chat and then we have a great community on Twitter. I’m also on Twitter, @ChrissaTanelia and @Patientory. For our enterprise and blockchain followers, we’re also at PTOY network. Thank you so much for joining us. This was a very illuminating conversation. I can’t wait to download the app and I can’t wait until you update it so I can put all of my records. I’ve started compiling everything and being like if I go to the doctor and I asked him an email to give me my records immediately. I just take everything and hold onto it because it’s too spread apart and people don’t know what’s going on anymore. I can’t wait to have a place to put all my information. Thank you so much, Chrissa. It’s been a total pleasure talking with you. Likewise, thank you for having me. I wish you the best with Patientory and IrisGuard. I will catch you guys next time on the NewTrustEconomy.com. 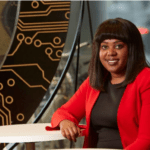 Founder and CEO of Patientory, Inc.
Named as one of the top women, “leaving their mark on the MedTech field in health IT,” Chrissa McFarlane is the Founder and CEO of Patientory, Inc., headquartered in Atlanta. McFarlane founded Patientory in December 2015 after seeing the need in the market for more personalized and secure consumer-driven health information management solutions. McFarlane has published international healthcare research, and helped to create breakthrough digital health companies that have provided services to companies such as Tumblr, Blue Apron, Casper, and Meetup. Patientory is part of the Startup Health portfolio, a global organization leading the movement to transform health. To learn more visit patientory.com.